Blackberry Desktop Software v7.1.0 is a small application for windows computer created by Blackberry Mobility LLC, which allows you to perform various tasks such as backups or file synchronizations, copy music, pictures or videos, manage emails and many more on your windows desktop. It also allows you to migrate files from one BlackBerry to another. In order to perform these tasks, just connect your blackberry phone to the windows computer. As soon as you connect your blackberry phone to the computer, the Blackberry Desktop Software v7.1.0 automatically checks for updates and, if available, it automatically prompts you to install the same. Then, it takes couple of minutes to get your job done. In order to use the Blackberry Desktop Software, you need to install the Universal ADB Driver on your computer. [*] Compatibility: The Blackberry Desktop Application runs perfectly on Windows XP, Windows Vista, Windows 7, Windows 8, Windows 8.1 and Windows 10 (32 bit and 64 bit). 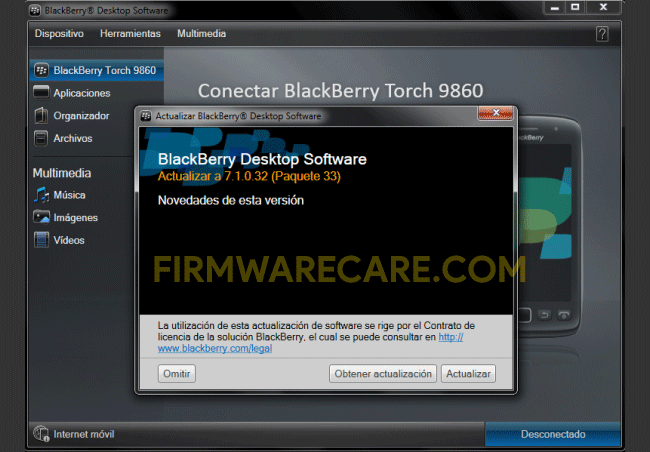 [*] Credits: Blackberry Desktop Tool is created and distributed by Blackberry Mobility LLC (developer). So, full credits goes to Blackberry Mobility LLC (developer) for sharing the tool for free.